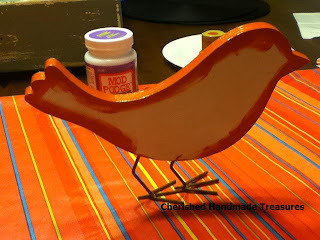 Here is my little Mod Podge birdie. 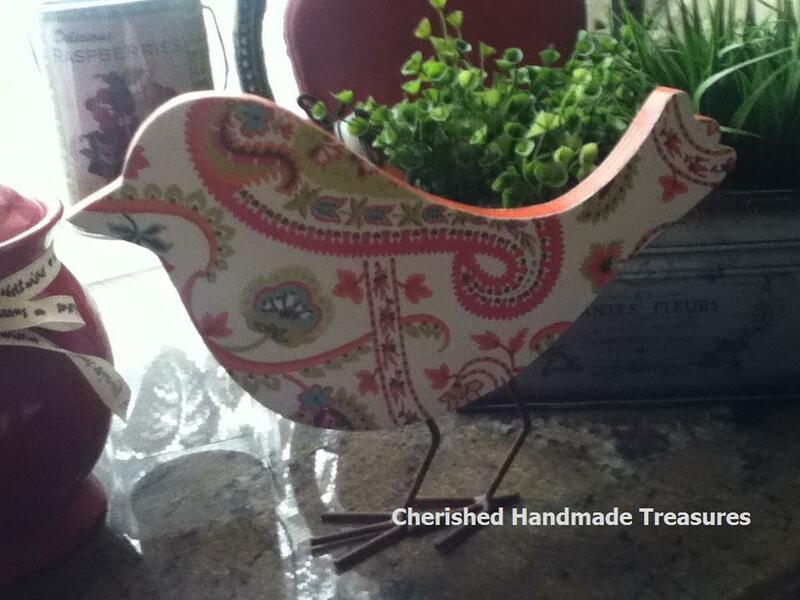 I found this little wooden birdie on the clearance rack at Michaels for 99¢ and couldn't pass it up. I had intended to put it outside in my garden, but when I finished, it just seemed to fit right into my garden window. 1. 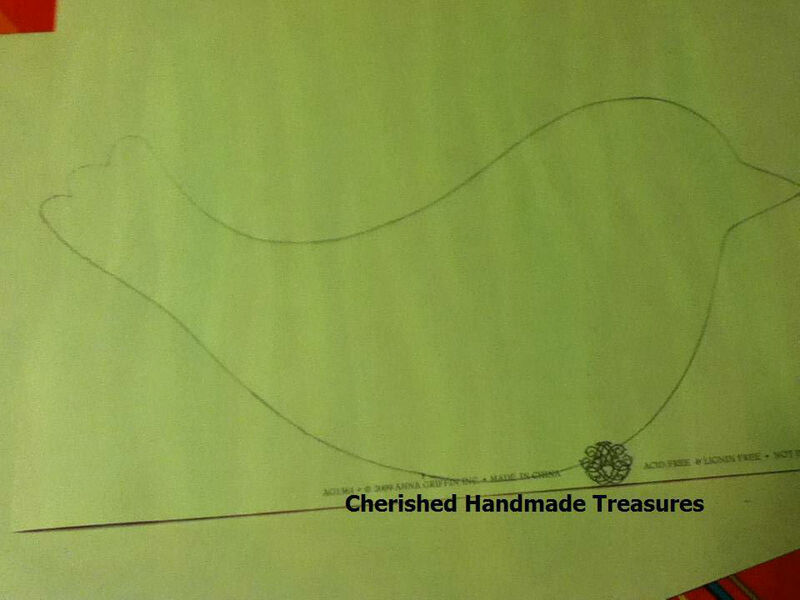 Make your template and then cut it out. 2. Paint the edges of your bird. 3. 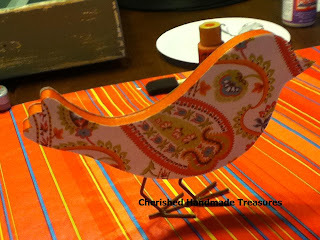 Mod Podge the paper pieces onto the bird. 4. 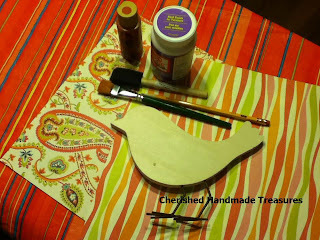 With your choice of sanding tool, sand the edges smooth. 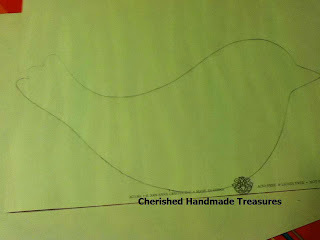 For a small project like this, I prefer to use an emery board. It works great. Voilà! My cute little birdie. Too cute!! 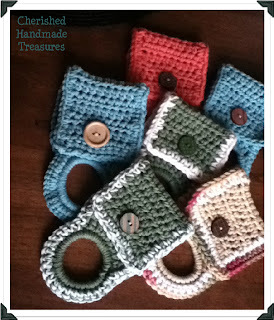 I would love for you to share this (and any other creations) at Pin It and Win It Wednesday @ www.cheapcraftymama.com! So cute. I'm going to have to remember the emery board tip. I love this little bird and the paisley is perfect on it! 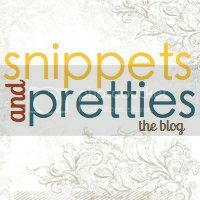 Thanks for linking up at Doodles & Stitches. 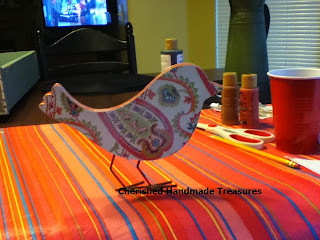 Mod Podge really works with a lot of projects. This birdie would look great in my kitchen. 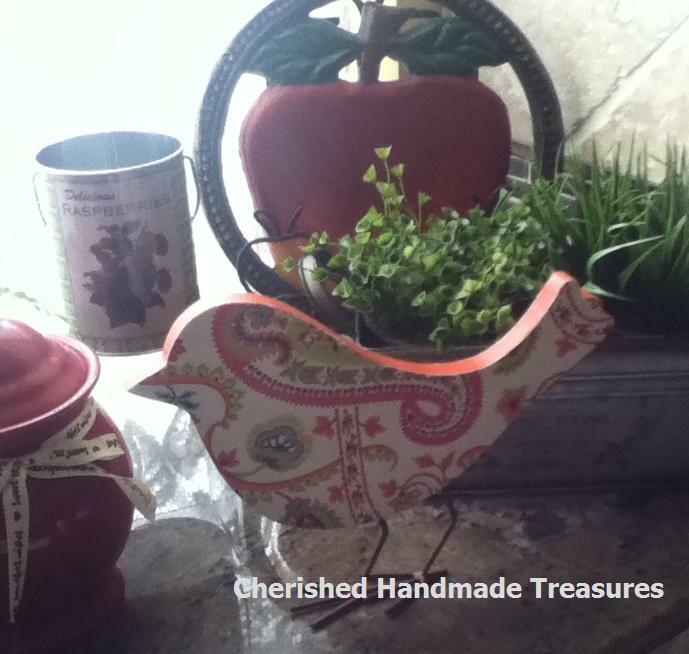 I have a birdie theme :) Thanks for linking up at Mom's Library!